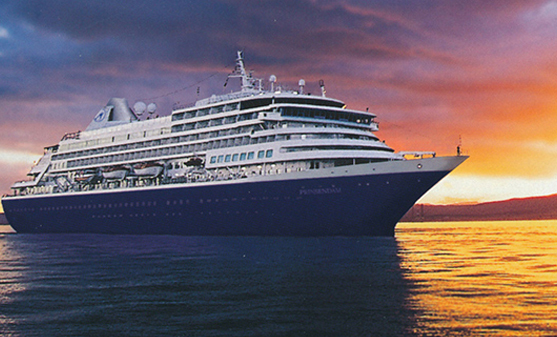 Today, Holland America Line's fleet of 15 elegant, mid-size ships offers more than 500 sailings a year visiting all seven continents. Ships are purposefully designed to accommodate fewer guests, resulting in more space per guest than any other premium cruise line. A sense of spaciousness throughout the ship, from generously proportioned public rooms to plenty of outdoor viewing room. A wide variety of spacious staterooms, most with ocean views or private verandahs. Prompt seating and easy access to services. Smooth embarkation, disembarkation and tendering. Staterooms are 25% larger than other cruise lines. Suites are 50% larger than other cruise lines. 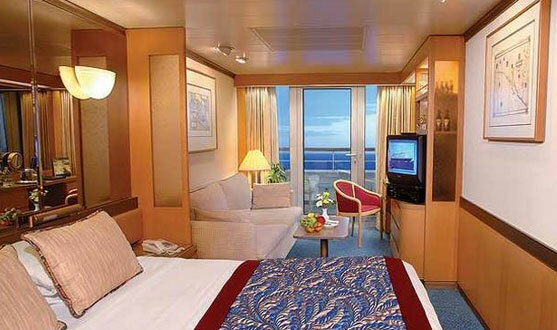 Inside staterooms have walk-in closet & some of them even have a bath tub. 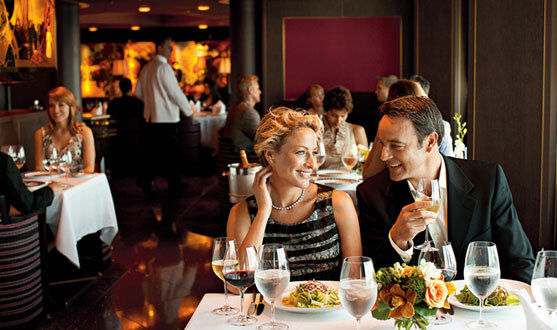 Largest vegetarian menu with 52 dishes as a standard alternative on all ships. Specific meals like Indian vegetarian, Jain food etc. available on advance request. Choice of traditional pre-set seating and dining times or a flexible open schedule. Intuitive, always nearby, never intrusive. Guest to crew ratio 2:1. Warm Asian hospitality with onboard Filipino & Indonesian Crew. 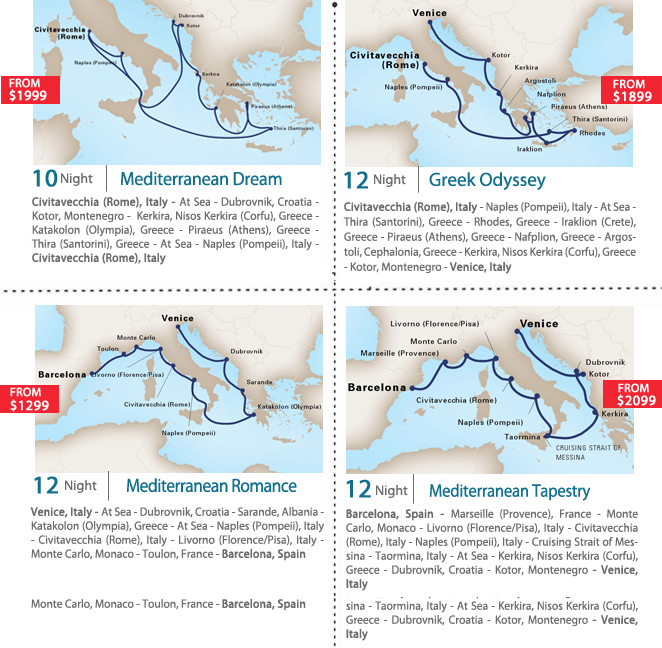 Wide array of carefully researched itineraries to showcase a destination at its best. 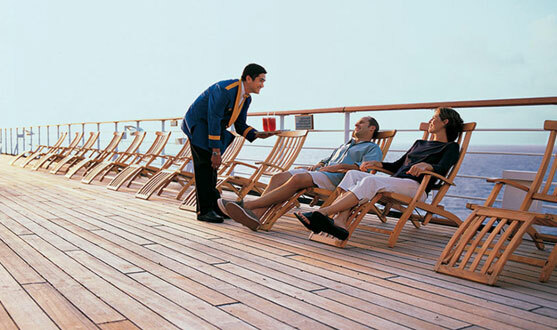 More time in each location; Holland America Cruises arrive early morning & leave in the evening. 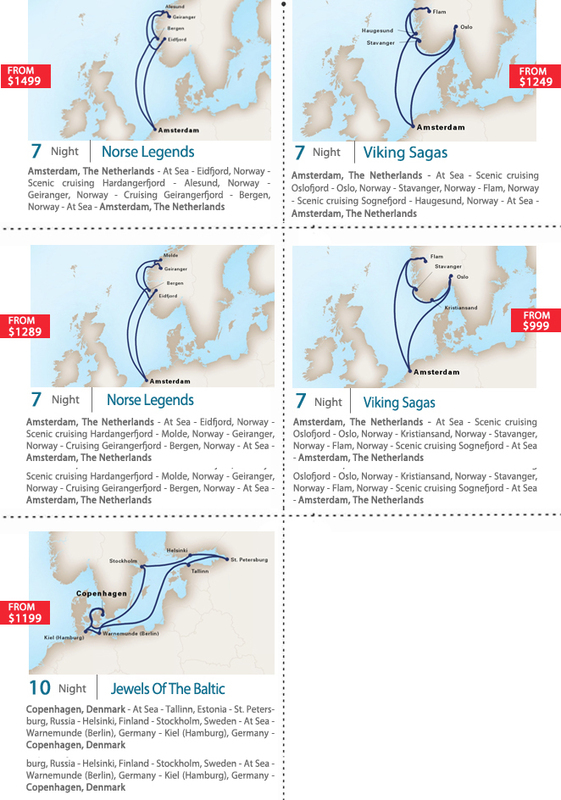 Minimum time spent at sea with maximum ports of call in each itinerary. 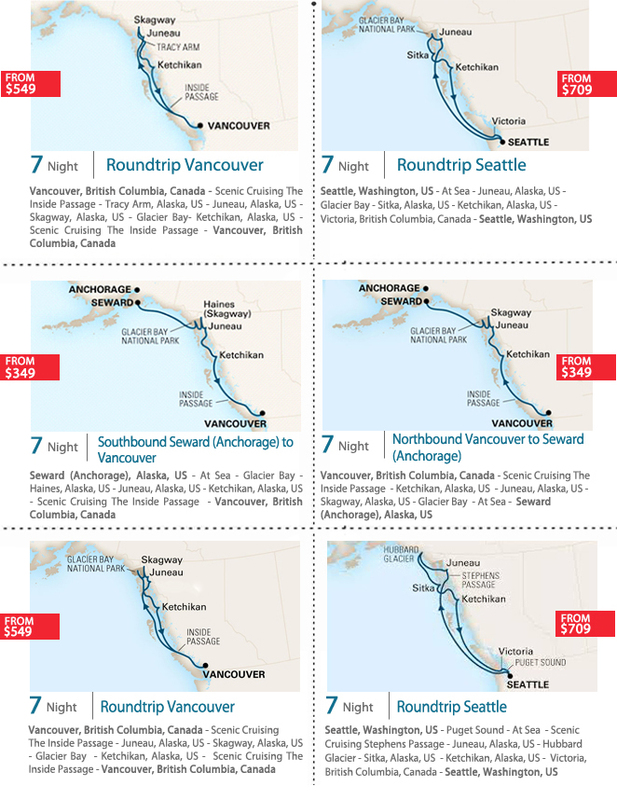 Zero days at sea in our Alaska Inside Passage itineraries. Club HAL program: Age specific multiple recreational options on every ship for children. Vegas & Broadway style shows on-board at no extra charge. Casino, Culinary Arts Center, Digital workshop, Movies and many more recreational facilities on board. Only require 10 full paying guests to qualify for group benefits.